As you might know, Thailand is considered the transgender capital of the world. The “third gender” is an accepted part of Thai society and transgenderism is everywhere – from TV celebrities, to transgender flight attendants, to foreign and Thai transwomen seen all around town. It is SUCH a refreshing change from the U.S.! Me with some of Bangkok’s most beautiful kathoey (transgender) performers. 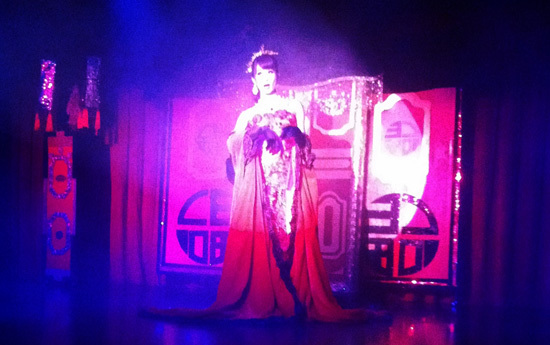 The Playhouse Theater Cabaret, featuring some of Thailand’s best kathoey (transgender) performers. 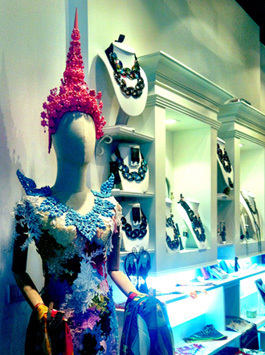 Thailand is a shopper’s paradise with bargains galore. 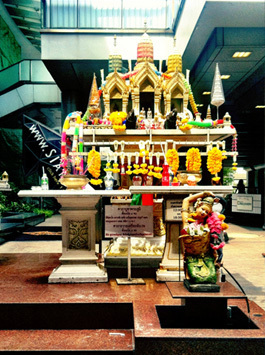 Shrine in front of a Bangkok shopping mall. 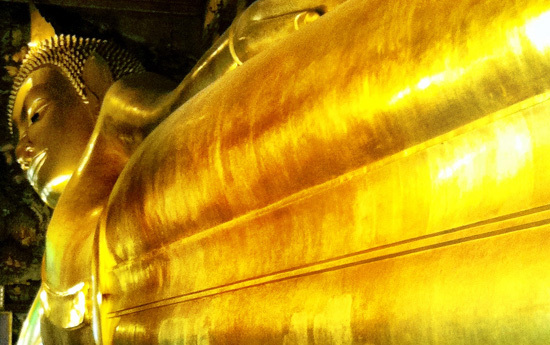 Incredible 150 foot long gold Reclining Buddha at the Wat Pho temple. 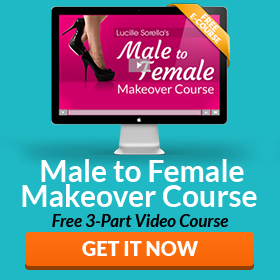 I LOVE traveling and I want to encourage you to plan your own femme getaway. It’s doesn’t matter if you travel across the world, to a transgender conference, or simply to another city in your home state … traveling is the perfect opportunity to unleash your femme self away from the routine and expectations of home. Nobody knows you and nobody will ever see you again, so you can literally be whoever you want to be. Most trips (like your own femme journey) are full of unexpected surprises. Traveling teaching you to go with the flow – and enjoy the experience. So, do you travel en femme? I’d love to hear about your femme travel adventures (or travel dreams), so please share them with me in the comments section below! Traveling to Bangkok Summer of 2018 for fun and ? leaving all Drab home. fancy a trip next year end jan 2019 to Thailand Bangkok or Philippines say Angeles city good any one been or fancy going together life too short ,I have bene to pattaya , Vietnam and Cambodia. I love how feminine the girls are. They are stunning ladies! They certainly are, i was over there in the late 60s and the Gurls today are cuter than ever.